Are you ready for a change in lab scenery? Join us for an upcoming social event @ the UChicago Pub on Thursday, November 15th, 5:00-7:00 pm (The basement of Ida Noyes @ 1212 E 59th St, Chicago, IL 60637)! A great opportunity to meet your peers! 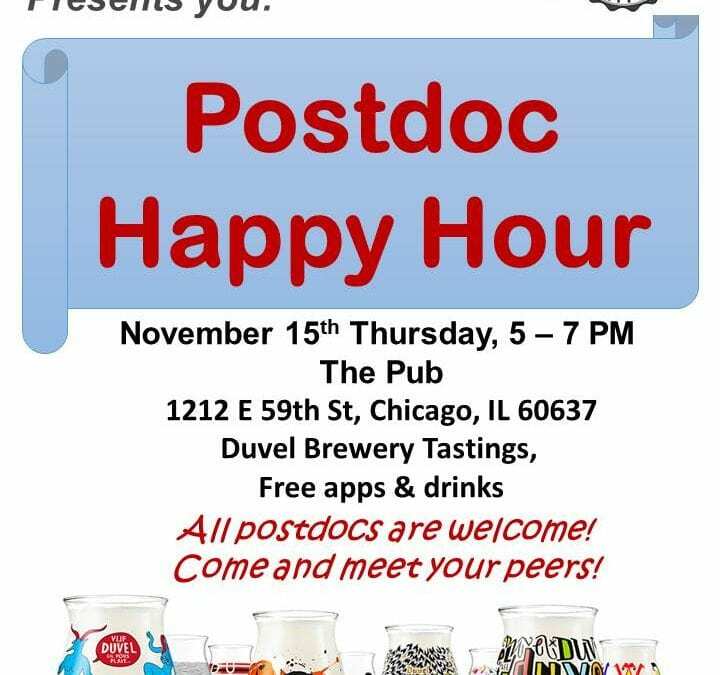 The BSD Postdoctoral Association will provide free apps, and there will be free drinks & swag from featured breweries Duvel, Boulevard and Ommegang. Come early and stay late to mingle with your peers. Free entry for all postdocs, but you must bring your ID to show at the door for the event. Hope to see you there!